In early April of 1973, a mind-melding of sorts took place in New York City. 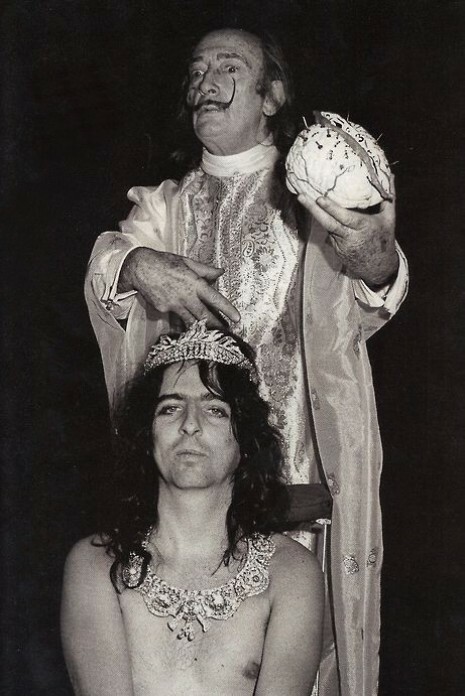 Over the course of about two weeks, shock-rocker Alice Cooper and surrealist king Salvador Dali, ate together, drank together, and basked in the glow of each other`s exceptional uniqueness. The latter made a suggestion that went something along the lines of, “I would like to turn you into a work of art. 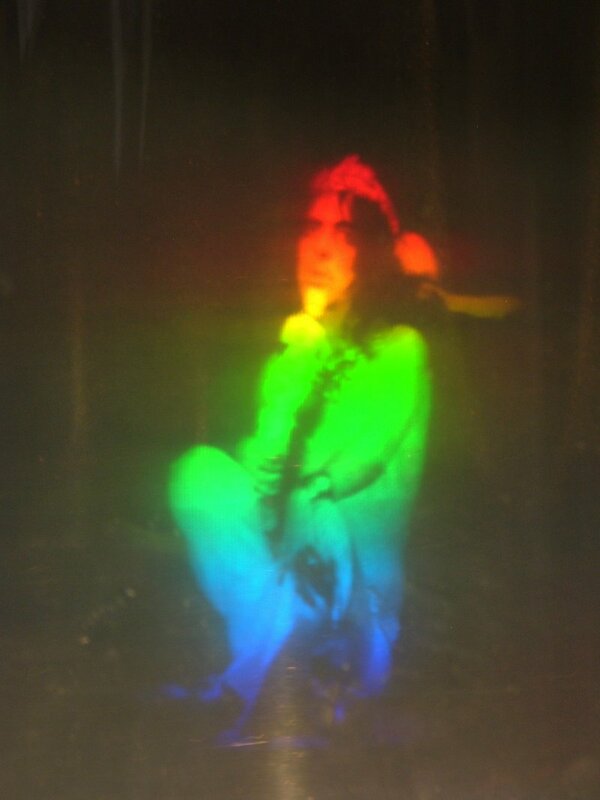 It’s name will be ‘First Cylindric Chromo-Hologram Portrait of Alice Cooper`s Brain. '” The surrealist then handed Cooper a sculpture of his brain, sculpted out of plaster (or something), with a chocolate eclair running down it`s middle and ants crawling all over it. 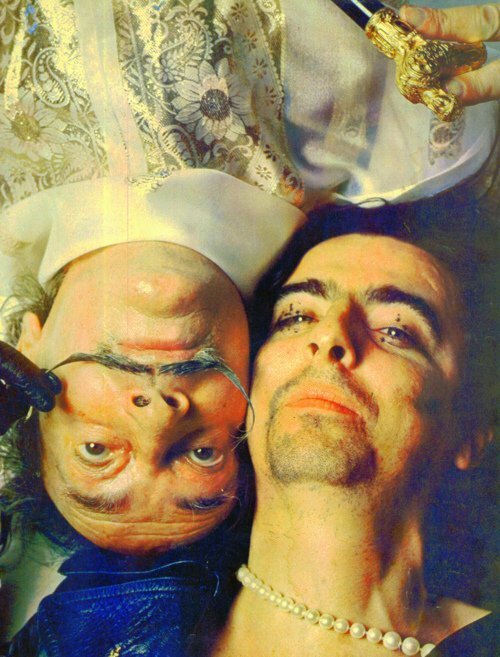 The painter said, “This is Dali`s version of Alice Cooper`s brain,” to which Cooper replied, “Wow, I never thought I`d ever get this.” And so the first 3-D hologram was inspired. The artwork features Cooper, and his ant-covered eclair brain, biting the head off of the Venus De Milo while wearing $2 million worth of diamond tiaras and necklaces. The hologram is in the Dali museum in Spain; this meeting of “eminent weirdos” has kind of been lost to history, but it will live on forever on the pages of SuperRadNow! 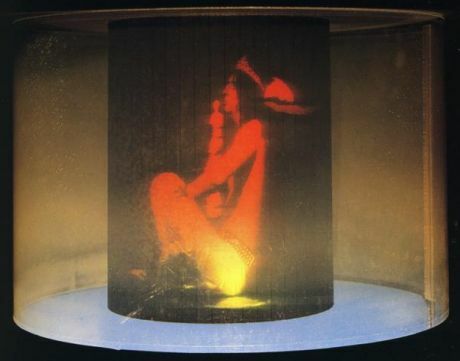 This entry was posted in Things to See and tagged alice cooper, Cooper, Dali, dali museum, First Cylindric Chromo-Hologram Portrait of Alice Cooper`s Brain, hologram, rock n' roll, salvador dali, shock rock, surrealism, Venus De Milo by superradnow. Bookmark the permalink. thanks so much for the nomination. it is much appreciated. i’m happy you enjoy the blog. i will be sure to follow the directions! You are welcome. I probably made them sound a bit confusing though!